Good music teachers who give private lessons are like gold dust so its great to get some recommendations from local mums. "I highly recommend Mashu Studios to all Local Mums. My son�William has now attended five lessons and I am so impressed that he can read the music that Simon (his teacher) gives him. �I loved how Simon explained to William on his first lesson that he was William’s age when he started his lessons and it will take some time to be able to play like him. 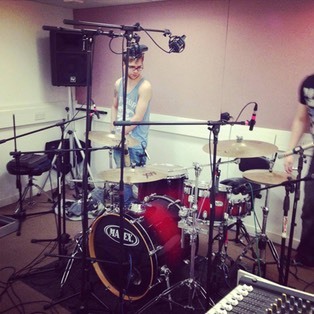 �At the end of the first lesson, William was allowed to play on the teaching drum set and also on a real set. �With William only just starting out, we have agreed a 20 minute lesson and will �increase his lesson length as he goes along.�Mark (who runs the studio) has been great at accomodating our needs and agreed that as long as we give plenty of notice, we (and others) won’t pay for holidays. I'm really pleased with the service offered by Mashu Studios and wouldn't hestitate to recommend to other parents." 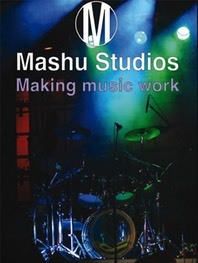 "I recommend�Mashu Studios�to Local Mums. I’m getting really excited now with the things I’m learning from Mashu Studios; my teacher is piecing together for me the basic missing bits and learning order for me that I was looking for and needed." The studio is fully soundproofed so the kids can play as loud as they like. We also have a small waiting room with tea and coffee for any parents who wish to wait during lesson time. There is ample local parking in Harcourt Road and the surrounding roads. Weekend parking is available in Danbury Mews. We are very happy to be able to offer Local Mums a 10% discount when they book from this website. Just quote the code "Local Mums" when you call or email.